Online Strategies,Tips & Techniques - Page 2 of 26 - Assisting Struggling Network Marketers to position their brand Online with today's technology,tools & techniques. 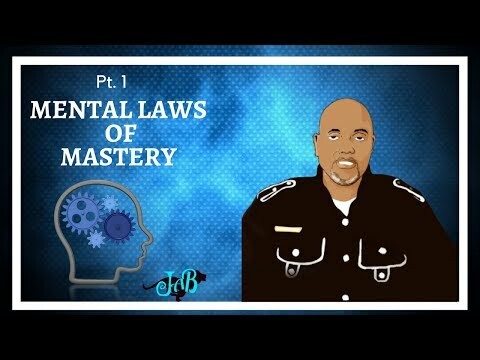 We must learn how to apply the universal laws of selling and apply them to become the entrepreneur that causes the law of attraction to manifest. In this series of teaching we have discussed how to apply the seven mental laws of selling as taught by Brian Tracey. Our previous post had the other four laws. 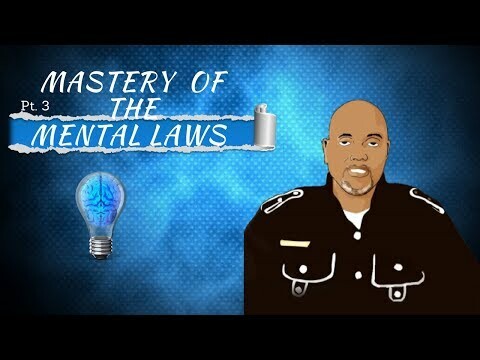 We will discuss the law of concentration here and the law of attraction. There is a lot of teaching online about the law of attraction. 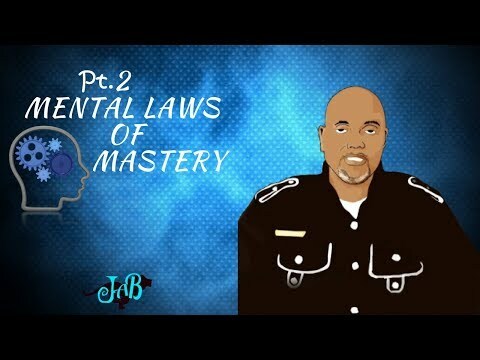 The two that we will speak on today is the law of concentration and the law of Attraction. This law says that the more you think about something, the more of your mental capacity is assigned to think about that issue. If you think about something often enough, it eventually dominates your thinking and affects your behavior. Let’s talk about goals. If you write goals and you think about the way you desire to accomplish them and apply actionable steps then your thoughts will come to dominate everything you say and do to achieve those set of written goals. The selling concept is the same because if you think about increasing your effectiveness as a salesperson, you will actually find yourself doing the things that make this become a reality. As time pass and you stay concentrated on what you want, you will become more determined and focused on achieving this until it becomes a reality. The more you think about it, the faster your goals will appear and expand in your span of reach. Success will inevitably come to you as long as you stay focused on a workable daily plan of action and keep your energy focused on what you want. Whatever you dwell upon will grow and expand in your life. The same will also happen if you focus on things within fear of not achieving what you desire. You will find yourself making every excuse to avoid doing the very things you need to do to achieve the very success you desire. Remember not to allow yourself to develop a habit to focus and dwell on the things that you don’t want. This law affects every part of your life and if you are in sales then you can count on it effecting your selling. This powerful universal law has been the cause and effect for many to achieve greatness and also to plunder failure. You are a living magnet and you inevitably attract into your life people and circumstances in harmony with your dominant thoughts. You see, your thoughts are vibrations that create a force field of mental energy around you. When you are positive and optimistic about yourself and your product or service, you broadcast a form of positive mental energy that attracts back to you an endless supply of leads, prospects, referrals, and sales opportunities. 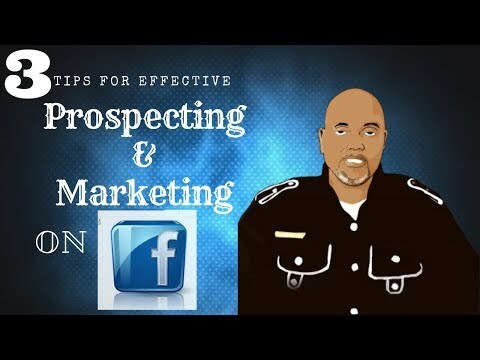 If you use the principle attraction marketing in your strategies this law works awesome. Here is a link to share with you a Simple 7 Step Attraction Marketing Method to dominate your Industry. Everything you have in life today you have attracted to yourself because of the person that you are. You can have more in your life because you can change the person you are, by changing your dominant thoughts. The more positive, optimistic, and enthusiastic you are about what you are doing, the greater will be the magnetic power of your mind and you will start to attract into your life the people and opportunities you need to achieve your goals that you set. In closing, the key will be for you to learn how to control your thoughts every minute of everyday. 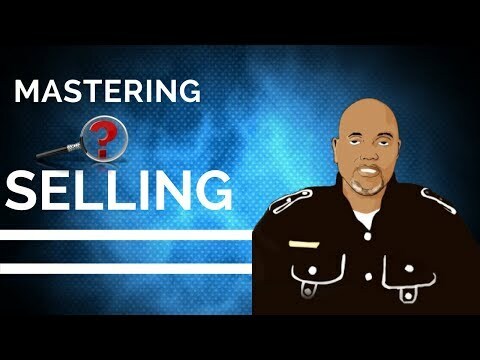 Learn the Art of Selling and you can live life on your own Terms. When it comes to sales, the key isn’t always about finding people that can afford what you have to offer. It’s more about finding people that are looking for what you have and you becoming in their eyes the best one to purchase it from. Below we discuss how to really position yourself as the person of value when it comes to a business in sales. Most people purpose to sell products through logic and only through logic. Keep in mind that people seldom buy logically. People buy emotionally, then defend their decisions with logic. So if people buy by emotions, you must build a connection with them to develop a long term relationship. Emotions are defined as the effective aspect of consciousness and is usually directed toward a specific object and typically accompanied by physiological and behavioral changes in the body. This is the anatomy of sales. So the common skill in communication is a definite to pick up connection between you and your potential client. Non-verbal communication is 93%, so you must be able to see the emotional aspect of your buyer. For more on How to be a conversationalist, Here is a Blog post that I created called 10 Rules In Prospecting that will make you a better Conversationalist. You must get this point in order to become successful. You must build strong relationships with your potential business partner or customer before they will fell comfortable in partnering with you. Here are the ABC’s of selling. Advise your potential customer of how your product or your service is the best solution for them. If it’s not the fit they are looking for, then give them your suggestion even if it’s not your own product. They will appreciate your honesty and look favorably towards your business which can lead to referrals where your product/service would be a fit. Build a rapport with some point of connectivity so you can remain engaged with your leads. Also leverage business tools & use the P.A.T. ” Point At Tools ” concept that will help you do your job more efficiently and also give them essential tools to use so they feel a sense of your team. This will also allow you to have more time to put back into your relationships. Personal development and skills is the answer to substantial value to the marketplace. Connect as often as you can with your customer/business partner. This will keep your leadership and business ethics on the top of their mind. Maintaining regular communications with customers will build trust in your relationship and customers will be more likely to engage with your business for future opportunities. There are several marketing concepts that people use to build their business’s online. 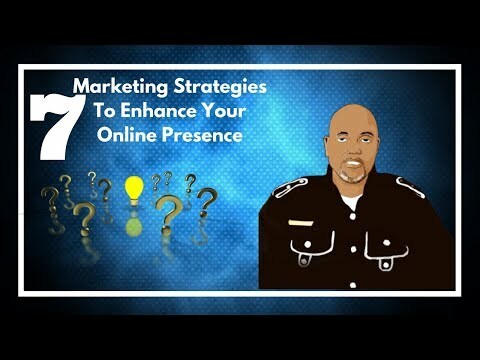 In the article and video below, we will discuss seven of the strategies we think could enhance your online presence. Word of mouth marketing is a tactic used to generate natural discussions and recommendations about a product or company. It is communicated in both Oral or written forms. This results in a satisfied customer conveying their interest to a prospective customer of how the quality of a specific product or service has been to them. It could also be communicated online via social media. It is considered to be the most effective form of promotion therefore being mistakenly called word of mouth advertising. This is incorrect because, by definition, advertising is a paid and non-personal communication. Social media marketing refers to techniques that target social networks and applications to spread brand awareness or promote particular products. Social media marketing campaigns usually center around establishing a social media presence on major platforms. This is done by posting useful media that viewers find helpful and in return like it or share it with their circle. Most social media platforms set their algorithm by whether the content is congruent with audience interactions. Passive marketing incurs as a marketer spends their precious investment of time and on some occasions money. In some occasions the cost associated is with setting up a directory listing. The biggest investment is time and research for creating posts on blogs or social network sites. Passive Marketing techniques are the lifeblood of a business. This is done by creating content that’s geared towards providing value to help searchers solve specific problems. In return popular keyword phrases are placed and indexed in order to be found online via search engines. 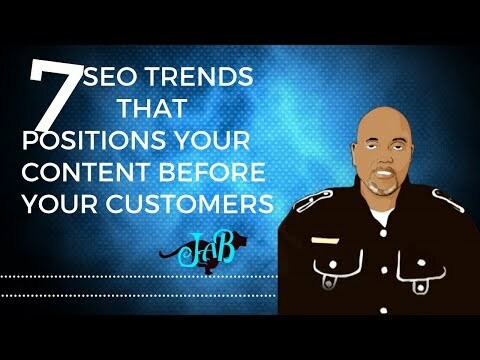 When this valuable content is found online it helps potential customers solve problems and|or address the specific needs within their search result. This marketing concept is said to be a gift that keeps giving. It is also titled as online marketing. Interruption marketing or known by some as outbound marketing is promoting a product through continued advertising, promotions, public relations and sales. It is considered to be an annoying version of the traditional way of doing marketing. The technique consist of companies that focus on finding customers through advertising and this concept usually interferes with everyday normal online searches. the user experience in which it is placed. It is a form of online marketing. It is often used as a ad experience that follows the natural form of a social media feed. service or product will benefit them well before they purchase it. This Blog is a product of my Attraction Marketing tool to build a authority by sharing value with online marketing. It is designed to attract like minded people to build a relationship with. If there is an interest to become partners with me you can begin to learn about who I am and what I can offer as a business partner. After you go to the link, feel free to send me a message via the form on the bottom left of the page or sign up to work with me and I will be notified. When it comes to getting in front of your potential customers and business partners, it is essential to know how to align your content. The social content that we write is always more beneficial when we can index it on google and other popular search engines. We should always use posting strategies between the web and social media. 76% of marketers use Social Media such as Facebook,YouTube,Twitter,Google Plus and LinkedIn to place links to assure that search engines understand how our website is credible and relevant to search results. Marketers that use video content as a tool to drive their digital and SEO efforts will embrace this trend and get better results and capture new audiences. NOTE: SERP stands for Search Engine Results Page. When you enter a query into a search engine you receive a page with results based on the listing of results that are returned by the search engine in response to a keyword query. Remember we are in the information age and people use a range of devices to access content. We have tablets, smartphones, laptops and now even watches to browse the web. Search engines are aware of this and give favor to those that optimize their websites to accommodate all devices. Voice search has quickly become a huge part of mobile usage and has eliminated the pain of typing keywords to activate a search inquiry. Make sure you have voice search in mind when developing your content. Again when we think about mobile and mobile search, apps have been able to make it easier. I believe that as technology expands that Apps will take the place of desktop and mobile websites. Local searches are growing stronger and stronger as people let Google know where they are located and what they are offering. When it comes to building a business and getting results it will always depend on you prioritizing your time within your daily routines. We must always evaluate the way we think about our time when it comes to being successful or unsuccessful as a entrepreneur. 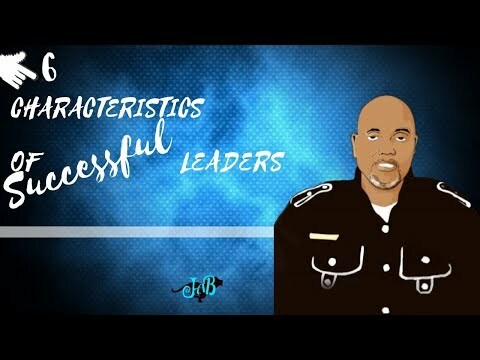 Successful people have this factor mastered as it is the difference maker when it comes to consistent business results. 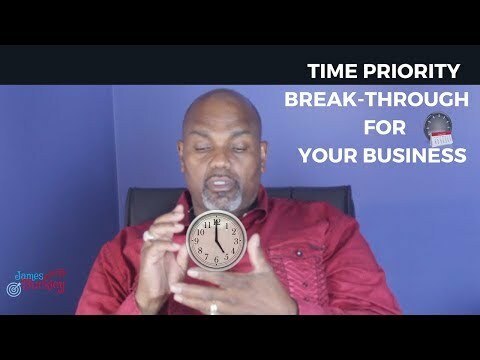 Below we will give the five factors that most people struggle with and also watch the video to get our intake on how to not allow the time factor to hold you back from all that you are destined to achieve. This is something that I constantly work on daily. Top earners always think about their time in terms of Investing instead of spending. With this in mind we should always look for ways to best invest our time to accomplish our desired results. We must acknowledge the true value of time and not waste it on unfocused activities. Most people that struggle with this think in terms of Spending time. They are inconsistent and usually not focused. They allow other seemly important things to rob them of their main goals and desires. They use statements like ” I didn’t get anything done today ” without having a system to see where they lost the most vital moments of their unproductive day. NOTE: Ask yourself…. How do I think of time? As habitual creatures, we all have habits and routines that we must examine daily until we annihilate those that don’t serve us. We are subconsciously on a daily basis doing things that we’re already programmed to do. Important tasks, such as our personal hygiene and without thinking of these factors we get them achieved without hesitant. We must have the same concept in operation within our business. If we neglect either, it could have a disastrous impact on our lives. The same as well as our business, it could ultimately cause us to be frustrated because, we lack results. Successful marketers pay strong attention to their habits and routines. Often examining closely for ways to improve behavior factors. Most marketers that start a business, usually start as a part-time marketer. With this in mind it is always beneficial to get the best productivity as possible each day. Especially if we have a family and perhaps have only an two or three hours to work on our business each day. If you are using a traditional building model, such as showing your company presentation to a group of 10 people at your local coffee shop or a home party, this is a leverage activity. Although if we’re giving the presentation to each individual, this is considered a non-leverage task. The same principle goes for getting 10 or more on a webinar if you’re using online principles. So, being mindful not to send 1 individual at a time to visit a evergreen webinar. Another as mentioned in the video is if we are coaching a team member on getting past a technological hurdle, this is great but it is a non-leverage action. We must record a video or training and have it available to send our entire team if needed and reap the results as it being a highly leveraged activity to always be ahead of the time factor. Guide to starting a Blog Article…. There are always task that we want to achieve. Especially, if we are building a online business using tools such as a blog. We still must keep in mind what actions are considered, high Impact activities. These are high Impact activities and must be our priority. We shouldn’t get caught doing low impact activities in our business. All of these are necessary although they aren’t High Impact activities. I’m not saying to stop doing low impact activities, although don’t give them preference when time is tight. This one is a whole paradigm shift because marketers that don’t get this will suffer from the worry of not enough results within the learning stage of their business. Successful marketers never concern themselves with a lack mentality based on terms because they understand that if they are focused then time will yield to them what they need according to their expectation. Abundance is always their understanding, therefore they flow from leveraging and impacting their actions. Unsuccessful marketers think of time in terms of Lack. They lack prospects,money and most of all results. The fix here is personal development on the subject of mind-set. Remember to always work harder on you than you do on anything else. Thanks for stopping by and as always for a final thought BE INTENTIONAL and keep in mind that the first step to change is awareness. Sign up for our VIP list and stay plugged into weekly training and tips on branding, marketing and personal development. 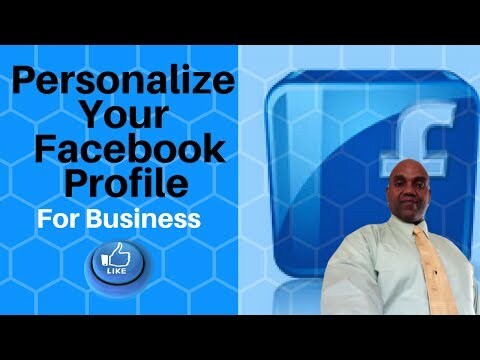 When we use our Facebook profile as a business entity there are several ways to personalize it for better results. Every small business that has a Facebook page should set their timeline up to guide people to ask questions that will in return become helpful. With a estimated 2 billion Facebook profiles and more business’s using this awesome medium, it is essential to learn how to attract people instead of repelling them. You can do several changes to better your profile although here are eight that really can be effective. You always want a professional medium shot picture that set’s you apart from other common profiles. Never put a picture of a animal or vehicle especially if you are branding yourself. Besides people are interested in connecting with you and not your animal. Create you a cover photo at www.canva.com with the required dimensions 828 px x 315 px. This should be a combination of a who you are in a nutshell and not about any company images of products. Have a inspiring cover photo that could even have text that speaks of your uniqueness. When it comes to posting content on your Facebook profile, it is essential to create curiosity and motivational, lifestyle post instead of company links that leads to repelling people instead of putting them in a open receptive mind. This is called Attraction. A quick 106 character description that gives a interesting backdrop of you to display a snap shot of your strengths. If you have pictures of where you have been on stage receiving a award or some event that you was featured as a income earner or the guest speaker, then you want to put these important photos here. You can put up to five images here. It is essential to set your Facebook profile to allow people that admire what you are doing to follow you. This will allow them to engage your post and comment on your content because they are interested in your value. Many people have this function shut off and never get much engagement on their content and it affects their importance as to Facebook’s algorithm. Make sure you set your private setting so people can’t post unwanted post on your timeline. because if they do and you hide it, then it will also affect your Facebook algorithm. These checks against you can put a question in Facebook bots and can cause you to get put in what is called Facebook jail. Here is a training that has some specific guidelines as to what could get you into trouble . Click here to get access ….